Program Free Peace of Mind. That's Right, It's Free! ReadyLIFT® is proud to offer its customers a FREE powertrain warranty. 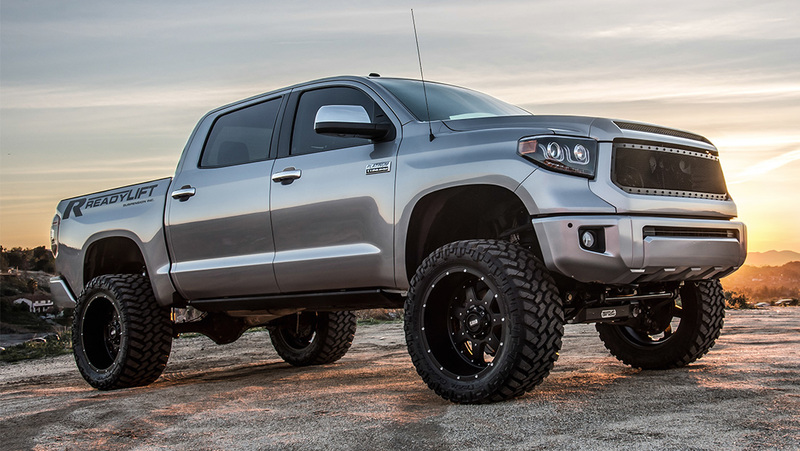 The most popular line of suspension products on the market just got better with the introduction of an unprecedented 5 year - 60,000* mile Powertrain Warranty. As a loyal ReadyLIFT® customer you get the ReadyGuard warranty for FREE when you purchase and have installed one of ReadyLIFT's qualifying suspensions. This special ReadyGuard Powertrain Warranty Program covers all major powertrain parts so that you have the peace of mind that your vehicle is covered in the event of a failure. 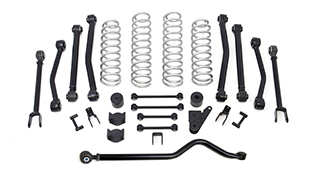 ReadyLIFT® suspension products are engineered and built to provide years of trouble free service to the vehicle both on and offroad. ReadyGuard is the best powertrain warranty on the market today! After purchasing your qualifying ReadyLIFT suspension and having it installed by a qualified professional installer, go to www.Ready-Guard.com and fill out the warranty program registration form. It's FREE. That's all that you have to do! Your vehicle is covered. And you get the Free peace of mind that your vehicle is part of the ReadyGuard warranty program! The ReadyGuard 5-year/60,000* mile powertrain warranty is available for a wide range of selected ReadyLIFT suspension systems. Please note that not all ReadyLIFT suspensions may qualify for this warranty program. For a complete listing of qualifying suspensions and coverage details, click into the tab below. 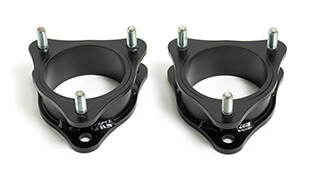 The warranty applies to qualifying suspension systems purchased on or after November 1st, 2014. 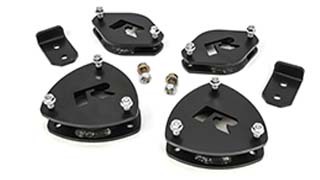 The below listed ReadyLIFT suspension systems qualify for the ReadyGuard Powertrain Warranty program. Many ReadyLIFT Leveling Kits, SST Lift Kits, Rear Block Kits, Shocks and some Off Road suspension systems qualify for ReadyGuard coverage. Please refer to the list of covered kits. Please note that off road performance level suspensions are not included in this program. The vehicles and suspension kits listed below will be accepted into the ReadyGuard warranty that are 5 years or newer and have less than 60,000* miles. 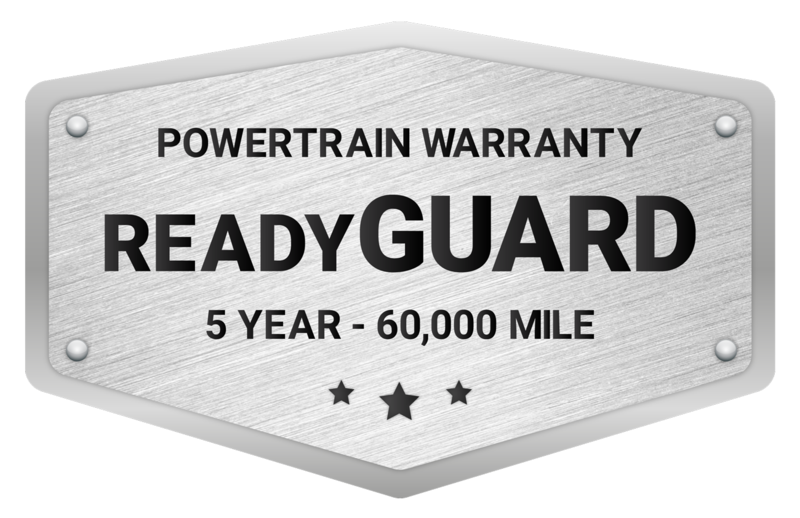 *ReadyGuard Powertrain Supplemental Warranty provided 5 year / 60,000 miles on Ford, Nissan and Toyota vehicles and 5 year / 100,000 miles on Dodge/Ram, and GM vehicles. To apply for ReadyGuard 5 Year/60,000** Mile PowerTrain Warranty coverage please complete the Registration form. After submitting the form you will receive a confirmation email. Allow up to 3 weeks for processing after ReadyGuard receives your Proof of Purchase* When your info is verified you will receive a registration confirmation email letter. **ReadyGuard Powertrain Supplemental Warranty provided 5 year / 60,000 miles on Ford, Nissan and Toyota vehicles and 5 year / 100,000 miles on Dodge/Ram, GM and Jeep vehicles. *Proof of purchase must include a copy of your receipt for parts and installation with noted odometer mileage. It's free! 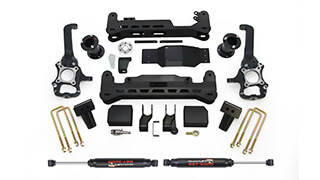 All qualifying ReadyLIFT suspension kits on vehicles within 5 years or 60,000* miles of new an have been properly installed per ReadyLIFT installation instructions are eligible at no charge. What ReadyLIFT Suspension qualifies for the ReadyGuard Powertrain Warranty? 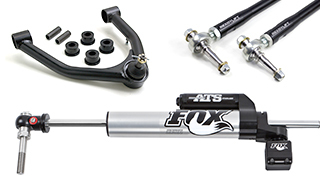 View the complete list of QUALIFYING READYLIFT SUSPENSION KITS. How do I sign up for the ReadyGuard Powertrain Warranty Program? Go to the REGISTRATION FORM and fill out all fields. 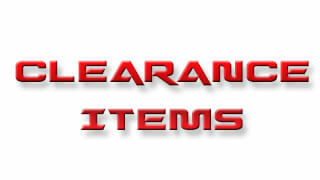 You will be required to provide proof of purchase and proof of odometer mileage. What is the time period to register my vehicle for the ReadyGuard Powertrain Warranty Program? It is up to you to register your vehicle at anytime. The sooner you register the sooner you will have coverage. This warranty is applicable to ReadyLIFT products purchased on or after November 1, 2014. Once I register how long does it take before my vehicle is covered under the ReadyGuard Powertrain Warranty? After you have completed the online registration please allow up to 3 weeks for processing. 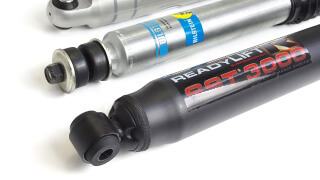 Does ReadyLIFT mandate that all qualifying kits must include ReadyLIFT shocks? No, the ReadyGuard Powertrain Warranty is applicable to most all Leveling, Lift Kits and block kits regardless if shocks are included or not. See Qualifying Kits for list of qualifying kits. 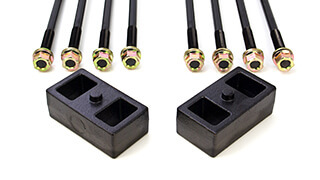 If I have a ReadyLIFT Suspension on my vehicle can I add other accessories without affecting the warranty? Yes. 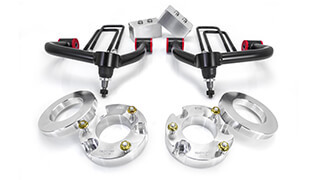 If you have a qualifying ReadyLIFT suspension on your vehicle you can add other non-suspension related accessories without affecting the warranty. Is the ReadyGuard Powertrain Warranty for new vehicles or used vehicles? Both new and used qualifying vehicles are eligible as long as the vehicle is within the first 5 years or 60,000* miles of the manufacture date of the vehicle. All vehicles are covered from the beginning of the vehicles manufacturing date up to 5 years or 60,000* miles. Or which ever comes first. Using the example that your used vehicle has 20,000 miles on it and you just had a qualifying suspension installed, your vehicle would have 40,000 miles of coverage left. No. The ReadyGuard Powertrain Warranty applies to your vehicle while you own it. It is not transferable. The ReadyGuard Powertrain Warranty provides coverage of the internally lubricated powertrain parts as listed. They are covered under this warranty for the first 5 years or 60,000* mile of the life of the vehicle. Or which ever comes first. The installation of the ReadyLIFT suspension must be installed by a qualified professional installer within the first 5 years or 60,000* miles in order to activate this warranty. You will contact ReadyGuard directly, by filling out the CLAIM FORM. After an inspection of the vehicle and an authorization to repair it, ReadyLIFT will pay the designated repair shop directly. ReadyGuard coverage applies only to qualified ReadyLIFT products. 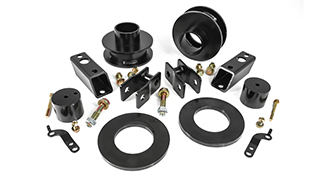 See QUALIFYING SUSPENSION SYSTEMS for a complete list of qualifying products. All vehicle parts or components or property either exterior, interior or otherwise not listed under the "What is Covered" list are excluded from this limited warranty. Repairs that would be covered by the vehicle original manufacturers' warranty are not covered unless written evidence is submitted that a claim made under the original manufacturers' warranty was denied due to installation of, and/or damage caused by, a qualifying ReadyLIFT suspension product. Repairs required because of collision, operation without proper or reasonable vehicle maintenance (including neglect), negligence, abuse/misuse of vehicle under vehicle manufacturer's recommended vehicle operation or of ReadyLIFT products under ReadyLIFT's product installation instructions or product usage recommendations, breakdown or failure of any vehicle parts or components not specifically listed under the "What is Covered" section, overheating, road conditions, alterations/ tampering, racing (either within or outside a coordinated and legal event), accidents, fires, floods, riots, acts of God, vandalism, upset, theft, incorrect fuel type, low fluid levels, abuse through towing or improper load capacity, abuse through continued operation of an impaired vehicle, or any other losses not specified under the "What is Covered" section. COMMERCIAL USE EXCLUDED - ReadyGuard is not intended for use on, nor valid on vehicles that are used for commercial purposes. Any and all commercial use is excluded and will void ReadyGuard coverage. This ReadyGuard warranty is limited to the first 5 years or 60,000/100,000* miles of the vehicle's life, whichever comes first. ReadyGuard does not replace the factory warranty during this period when in effect. ReadyGuard is only valid on qualified products purchased and installed on or after the effective date of November 1, 2014. INSTALLATION - ReadyGuard is valid only if the qualified ReadyLIFT product was installed by a qualified professional mechanic in accordance with the applicable ReadyLIFT installation instructions, and the vehicle owner adhered to ReadyLIFT recommendations as to tire/wheel size and followed any and all ReadyLIFT product maintenance recommendations. Proper installation of all ReadyLIFT products includes the requirement that any installed aftermarket tire does not have contact with the vehicle body or suspension components; installed tires should not have contact with anything other than the road surface. The determination of proper installation will be made at the sole discretion of ReadyLIFT/ReadyGuard or its authorized repair technician in the event of a claim. VEHICLE MAINTENANCE - Failure to perform the vehicle manufacturer's recommended maintenance voids ReadyGuard protection. All necessary vehicle powertrain and engine maintenance must be performed in compliance with OEM recommendations and by a dealer or ASE certified mechanic. All necessary maintenance to the installed ReadyLIFT product must be performed in compliance with the applicable ReadyLIFT maintenance instructions and recommendations. Abuse or misuse of the installed ReadyLIFT product voids ReadyGuard protection. In the event of a claim, complete maintenance records of the vehicle, including receipts of purchased and installed ReadyLIFT product as well as proof of mileage and any additional services performed must be kept by the vehicle purchaser and made available to ReadyLIFT upon request. Any attempt to tamper with the vehicle's odometer reading, or otherwise misrepresent the actual mileage of the vehicle, voids ReadyGuard protection. Failure to follow the recommendations for maintenance and care of your qualified ReadyLIFT product(s) voids ReadyGuard protection. REGISTRATION - ReadyGuard registration is the responsibility of the consumer and owner of the vehicle. Complete and valid registration must be submitted and completed online. Click here to submit your Registration form. 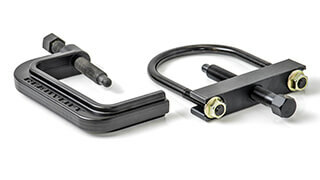 NO IMPLIED WARRANTY - Unless such exclusion is prohibited by law, this ReadyGuard warranty makes no warranty or guarantee other than expressly provided herein, and excludes any and all implied warranties of merchantability and fitness for a particular purpose. APPLICABLE LAW - This ReadyGuard warranty shall be construed, interpreted, and enforced in accordance with the laws of the state of Nevada. Any action or proceeding to enforce the terms of this warranty shall be brought solely in a court of competent jurisdiction in the state of Nevada, and ReadyLIFT customers covered by the ReadyGuard warranty consent to the personal jurisdiction and venue of such court. If repairs under this warranty are needed, you must deliver your vehicle to your vehicle's factory authorized repair facility, and contact the ReadyGuard Claim Administration Office at 800-549-4620 ext 203 or by going to www.Ready-Guard.com to register your claim. Claims for ReadyGuard warranty coverage must be made within 30 days of the manufacturer's denial of warranty coverage. Please be prepared to supply detailed information, including documents and images of the vehicle, and proof of the vehicle manufacturer's denial of warranty coverage, so that the representative can evaluate how to help you. All claims must be presented to a ReadyGuard claim representative before any repairs are conducted. A ReadyGuard claim representative will evaluate the claim and make arrangements with a facility of their choice to inspect and evaluate the vehicle. No repairs will begin without an inspection of the vehicle by a ReadyGuard claim representative or an authorized repair facility. 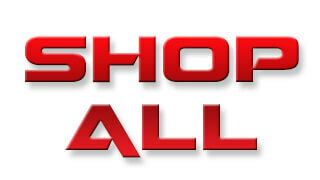 No amount shall be paid for repairs that are not authorized by a ReadyGuard claims representative. Upon approval of a claim, ReadyLIFT will arrange for payment for repairs under this warranty to be made directly from ReadyLIFT to the selected repair facility upon completion of approved work. Please call ReadyGuard at 800-549-4620 ext 311 to speak with a ReadyGuard Warranty Department customer service representative between the hours of M-F 7:00 am-4:00 pm PST or take a moment and complete the claim submission form below and send it to us using the Submit button. A ReadyGuard representative will contact you by the next business day or the following day after a weekend or holiday. If you would like to submit your claim online, please complete this form.